Man stabbed outside St Kilda.. The man previously jailed for assaulting Channel 9’s Sam Newman has been rushed to hospital after he was stabbed behind a St Kilda supermarket. The Age reports the man’s identity as Michael ‘Mick’ Hamill. He was taken to the Alfred Hospital in a critical but stable condition. Hamill was found in a pool of blood at the rear entrance to the supermarket on Chaucer Street around midday. A crime scene has been established, police are searching for two male attackers who fled the scene. 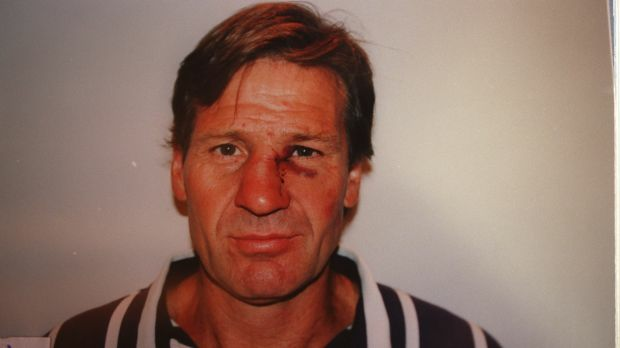 Sam Newman after he was bashed by Michael Hamill.